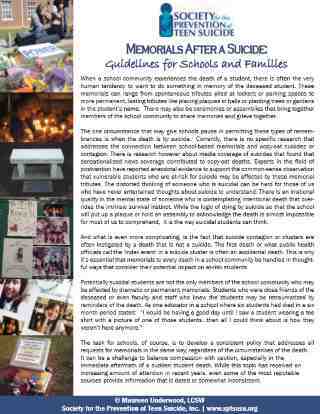 When suicide takes place at a school, the student's peers and classroom teachers are the groups most affected by a sudden death. 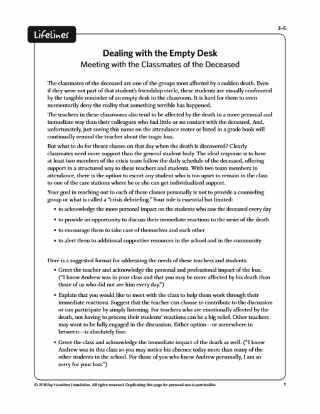 This printable, written for counselors and other professionals, provides guidance for helping those classroom teachers who are affected by the death of a student and the ripple effect it causes on the peer group. 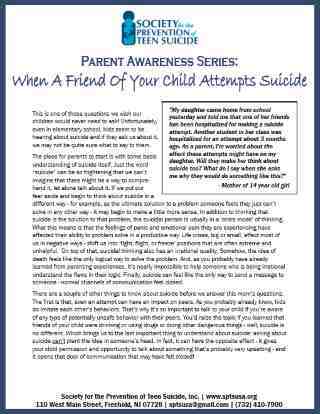 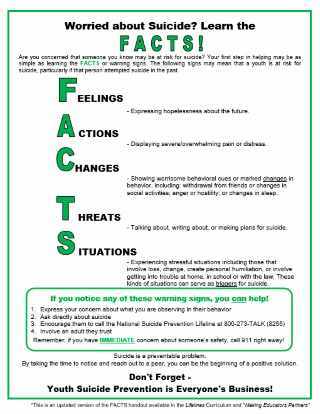 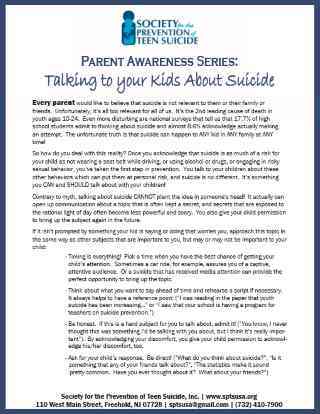 Provided by The Society for the Prevention of Teen Suicide.